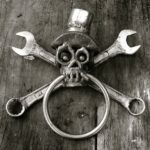 Other Machine Co. has officially changed its name to Bantam Tools in the wake of its acquisition by Bre Pettis (he of Makerbot fame/infamy). In terms of what’s different, not an awful lot. Yet. The company is changing names and repositioning itself. It’s a common thing to do when companies believe they need to relaunch themselves to restart stalled momentum, open the possibility for new spin, and generally try to start with a clean slate. I wrote about the Other Machine way back in March, 2015, when they brought one out to my house (they are in San Francisco, near my Santa Cruz location). It was a quaint experience operating a CNC on my dining room table with no mess and little fuss. I thought the other was a very cool little machine, though I wasn’t entirely clear what its niche might be. Portability is interesting, but not mission critical. Maybe for education? At the time, they were focused on appealing to the Maker world. The company went through a fair amount of trouble basically trying to find a profitable audience to sell their machines to. They were already wondering around the time they visited me whether they didn’t need a more professional market than Makers and Hobbyists. So, they updated the machine a little bit and went after PC Board prototyping. When they visited me, their machine was priced at $2199. Today, they’re $1000 more, costing $3199. As I understand it, what you’re getting for the extra money is primarily a more accurate machine. It’s hard to say how that accuracy compares to machines like Carbide3D’s Nomad and Shapeoko, or Inventables Carvey and X-Carve. Accuracy on CNC Machines is notoriously hard to quantify and often depends as much on the skill of the operator and programmer as the mechanicals. The Nomad 883 has a much larger workspace than the Bantam, and it is certainly quite capable of making PC Boards–Carbide3D even offers the free Carbide Copper which is software for CNC’ing PC Boards. Plus, it costs $500 less. It seems people are also making PC Boards with the even less expensive Shapeoko CNC Router Kit. Inventables machines, the Carvey and X-Carve, are also quite a bit less expensive. I guess it’s clear why Other Machine needs to seek a new market, but what is that market? Really? I would’ve thought the Shapeoko in its original guise followed by Carbide3D and Inventables held that title. Other was a relative unknown by comparison. Okay, it’s a great aspiration, but is the Bantam really enough machine to “dramatically accelerate their pace of development and innovation” for professionals? Tormach has that space firmly staked out. I can’t tell you how many folks I’ve come into contact with who bought Tormachs so their engineers could prototype products. Then there’s the line of small Haas mills and Datron also does a healthy business in this space. I’m just not sure how well suited the tiny work envelope of this machine is to serving that role. Can Bre Pettis Work the Magic (And Is There Any Magic)? “When I started MakerBot, 3-D printing was very similar to where CNC milling is now,” Pettis says. It’s a powerful but young tool. Like MakerBot, Bantam’s product promises to speed up a notoriously slow manufacturing process. That’s right, he’s the guy that did MakerBot. Brilliant man, but are his skills more in product innovation or marketing? I don’t know about you, but the idea that he brought 3D printing to the point where it is somehow ahead of CNC Milling (that’s how I read the quote) seems like incredible hype. I don’t know about that reputation bit. As I understand it, there are allegations he pilfered open source ideas. I can’t comment on that at all. What’s clear and a matter of public record is he took $130 million out of MakerBot and the company hasn’t done so well since. Pettis has had an interesting history. He started out as an art teacher. In the late 2000’s he became a popular figure in the maker movement by producing weekly videos for MAKE magazine. 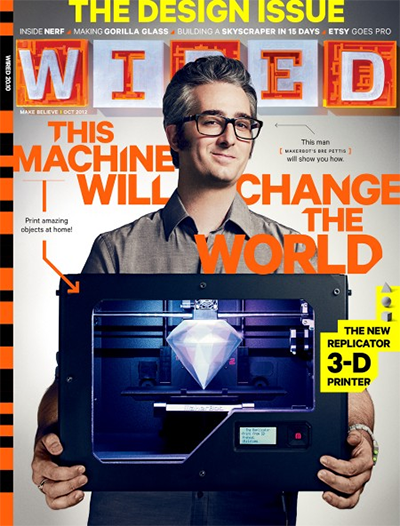 In 2008, he cofounded the NYC Resistor hackerspace, and a year later he launched MakerBot. 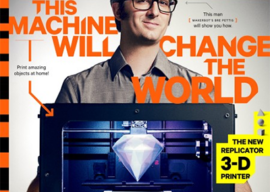 In fairness to Pettis, MakerBot was pretty big news. He took a technology that had been limited to extremely expensive proprietary industrial machines and brought it down to a level of cost and complexity where it could sit on the average marker’s desk and be affordable. By August 2011, MakerBot had sold 5,200 printers and on the strength of that raised $10 million in Venture Capital. Pettis had become, by this time, a counter-culture hero. A total Hacker King. He was still doing his videos and making inspiring speeches. Clearly there are parallels to a certain other figure who took Apple so far up the ladder of success. Like any time a major cultural phenomenon collapses, there are many opinions on why but few facts. When you have a MakerBot you have a superpower. You can make anything you need. Another problem with the sheer scale of growth MakerBot needed to show was it meant they had to tap a new audience. They raised their $10 million and grew their fame largely from the maker / hacker movement. To get where they needed to be meant the machine had to appeal to the much larger audience of people who were not hackers. That meant there could be no kits, and the 3D printers had to be incredibly reliable and easy to use. Worse, MakerBot had manufacturing issues trying to make their printers cheap enough for the mass market. They flirted with having them made in China, but progress was way too slow. So Pettis brought development back in-house and his team created a machine called the Replicator for the 2012 CES. It was a $1749 machine, and that was too expensive. Too expensive because competition had showed up. 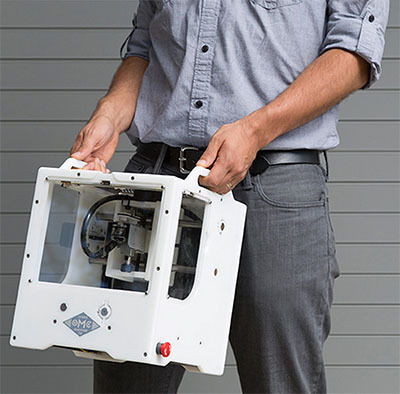 Brook Drumm raised $831,000 on Kickstarter for Printrbot, a 3D printer kit that cost only $549. Worse, 3D printing industry behemoth 3D Systems launched The Cube for $1299. As if that wasn’t enough, Solidoodle launched for $499. MakerBot’s Replicator was more than all of those machines. Competition also ultimately forced MaketBot to move away from the OpenSource world, a move that angered many followers. In June 2013, MakerBot was saved from all that when Stratasys, another big industrial 3D printing company, acquired the company for $403 million with another $201 million in performance based earnouts to keep employees motivated to keep producing. Despite all the extra capital and support, MarkerBot’s products were still too expensive. Even so, in 2014, MakerBot sold 39.356 printers. That was less than 2000 away from the total MakerBot printers sold from 2009 through 2013. All that growth was not without its problems. MakerBot’s much larger but much less technical non-hacker audience were unable to repair or adjust the machines. 2014 would be the year customer satisfaction plummeted and MakerBot was scrambling to fix problems with the machines and their software. By the first quarter of 2015, Stratasys executives were talking about a slowdown in the 3D Printer market. SHortly thereafter, Jonathan Jaglom, a Stratasys employee took over as MakerBot’s CEO and the company laid off 20% of its workforce. By October, they had to lay off another 20%. 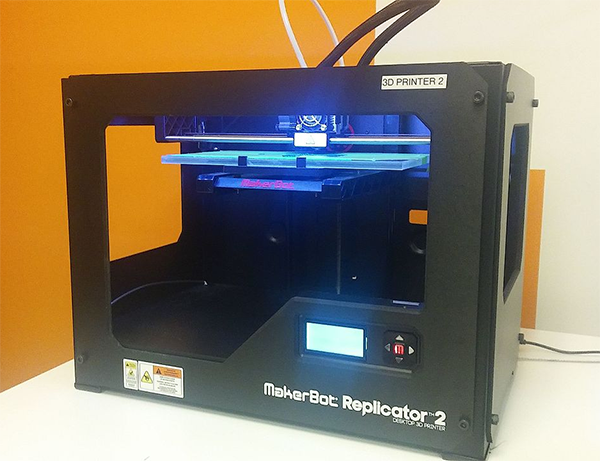 MakerBot sold less than half as many 3D printers in 2015 as they had sold in 2014. The bloom was off the rose. 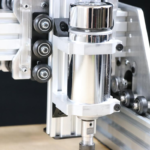 What’s in Store for CNC Milling? There are some eerie parallels here. Clearly, there’s a major hype cycle planned. And, the machines are too expensive relative to the competition. Pettis is also a major investor in Glowforge, which is trying to consumerize Laser Cutters but has had tremendous problems delivering its product on time. On the other hand, the market potential for CNC Milling is far larger. The types of things that can be made by and for professionals (Bantam’s intended market) is much bigger with CNC Milling than 3D Printers. If nothing else, it comes down to materials and speed. 3D Printers in any kind of reasonable price range can only do plastic and they are very slow. Even a modest CNC Mill (or Router if you prefer that format) can handle a much broader range of materials and get the job done faster. The other big deal is surface finish. The fine raster lines left by the layers on extruder machines are unacceptable to many–especially the non-hacker consumers companies like MakerBot hoped to target. The finish attainable through CNC Mills (not to mention the precision and tolerances) is much better. It’s not as if 3D Printers don’t have some advantages too though. Perhaps their biggest one is ease of use. CNC Mills use CAM Software to convert CAD Models into g-code suitable for programming the machines. 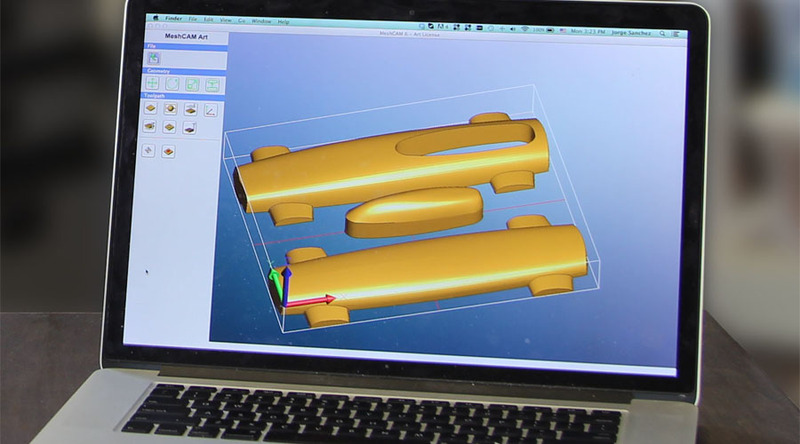 3D Printers use what’s called “Slicer” Software to do the same. Slicers are much more user-friendly than most CAM. 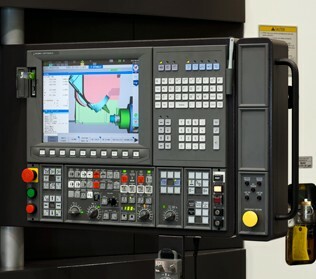 When most beginners start with CNC and get ready to do some CAM, they assume they are going to load their CAD model into the CAM Software, push a button, and g-code will come rolling out. Experienced CNC’ers familiar with the process know that’s not the case. Most modern CAM is pretty “user surly” (my friend John Bower’s name for the opposite of “user-friendly”). It forces you to know quite a lot about machining and the software to get results. There is only one CAM package I know of that comes close to the ideal of load a 3D model, push a button, and get g-code. 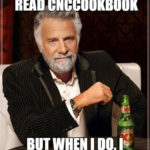 That package is MeshCAM, and when I discovered it was nearly that simple, I immediately camped out on Robert Grzesek’s doorstep until he made CNCCookbook a dealer. I still haven’t seen another package hold a candle to it for ease of use. If you’re a total CNC newbie, this package is the one that will have you making parts faster than almost any other. Ironically, Robert, the developer of MeshCAM, is also one of the founders and the CEO of Carbide3D. I believe the most critical element to cracking open the low-end of the CNC market is software. Think about Apple, famous for making everything easy. Yes, beautiful industrial design is great. But if the software didn’t make Apple’s products materially easier, they wouldn’t be nearly as successful. Any new generation of CNC makers hoping to change the world are going to have to get good at software. Having the world’s easiest CAM software as an integrated part of your offering is a great start, but it’s not enough. There’s a lot more that can be done. 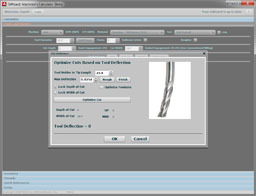 Carbide3D’s Nomad, for example, made tool touchsetting a built-in feature of the machine and its Carbide Motion control software. By doing so, tool management got radically simpler. Datron’s Neo has very cool features to make Setup easier using a probe and digital cameras. Glowforge has innovated on the software front as well using digital camera technology. With their Trace feature, you can put a drawing down on the table, trace it automatically, and the machine is ready to do laser engraving of whatever design was on the drawing. Vectric has made a great reputation for itself converting images to g-code. This is also a feature of MeshCAM, by the way. Tormach’s PathPilot is dramatically easier to use than conventional industrial controls and includes slick Conversational CNC capabilities. This work is really not about just making conventional industrial CNC machines cheaper. I participated in an online discussion recently on a Tormach group. One of the members had just bought a “Big Boy” CNC Lathe. It had a more capabilities, more power, and a Siemens industrial control. It dwarfed the Tormach mill in his shop. But, it was his first time dealing with an industrial control, and there were immediate teething pains. For example, as is common, many features that seem like a part of the g-code language are extra cost to enable. His machine only had the basics. The machine immediately alarmed out on the very first program he tried. It had the dreaded “Arc Center Tolerance” alarm, caused by the endpoints of the arc being different distances from the center. He remarked that if anything was even a little wrong with a program, the Siemens would just alarm out and refuse to do anything while PathPilot offers to go ahead with some default alternatives. I suggested he try R-mode arcs instead of IJK. With R-mode, you can’t get the error. Sorry, but R-mode not available on his control. How about changing the tolerance to a more forgiving value? Sorry, but the manual showing how to do that only applies to the “Advanced” version of the control. I use Industrial Controls frequently, usually Fanuc and Haas, and I have to admit–they’re clumsy compared to PathPilot. Yes, the controls themselves are more powerful and do a better job once everything is loaded and the green button is pressed, but still, the operator interfaces are cutting edge of pre-IBM PC. Or take Fusion 360. In one sense, it is fabulous because it is cheap. Heck, it’s free. And it’s very powerful. But you don’t have to spend long lurking around online or playing with it to realize it’s also too darned hard to use. The learning curve seems never-ending. 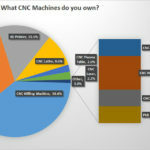 Who will explode the low-end CNC market? I don’t know who will fix all of this and make the low-end explode, but I do know there is a gigantic market just for prototyping. One existence proof of that is ProtoLabs, a company I’ve written about before. They’re able to charge quite a premium on prototypes just because they make it easy. Another are my many conversations with folks in Silicon Valley buying Tormachs for their engineers. The cost is a tiny fraction of the Engineer’s salaries. If a group can save time by prototyping and it makes the Engineers more productive, it is way worth it. If Bre Pettis wants to make Bantam a contender in this world, his first order of business has to be software. Yes, the machine is going to have to change too, but machines at that scale have become commodities. Software is much harder to come by. Others are further down that road and moving fast. Prices too high, competition, and hype. 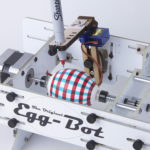 Have You Seen the Maker Movement, MakerBots, and RepRap? What If Dyson Made CNC Routers Instead of Vacuum Cleaners? Hardware and controllers direct from China are dirt cheap. Anyone with a bit of motivation can build their own or retrofit an old machine if money is the problem. But the choke point as you state in this article, is the software. I would also add customer support is necessary. It is not about making money selling the hardware anymore; no matter how high tech. It now comes down to software and customer support. I’m new to CNC but familiar with archictectrial design software. I’ve also been using your software, which is been quiet helpful. I wanted to point out that from my perspective, Fusion 360 was incredibly easy to learn. I would say it’s the most well designed piece of software I’ve used in years. There is more good educational material online than average and I picked it up on a few weeks. Now if figuring out post processors was only so easy…..
Matthew, it helps that you already knew design software tremendously. I key off the remarks I see online and the feedback I get directly from our readership. I must say, I very seldom hear Fusion 360 is “incredibly easy.” I know a lot of people like it, heck I like it too, though mostly the CAM portion. But for beginners who’ve never used CAD at all? Ouch!